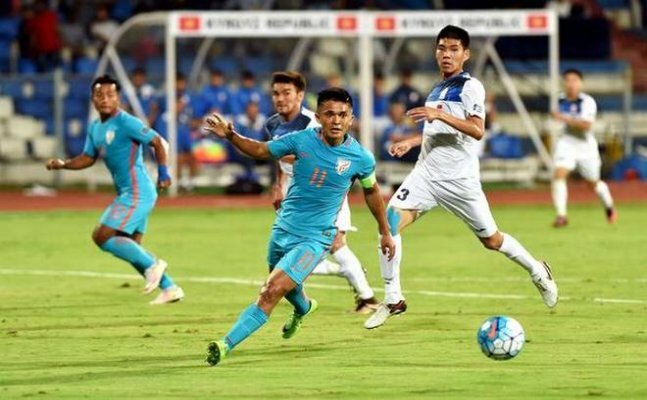 Sunil Chhetri and co didn’t have any international fixture throughout the previous month and held on to their spot with 333 points in the ranking list that was topped by 2014 World Cup Champions Germany with 1602 ratings. The Indian football team remained static at the 102nd position in the latest FIFA rankings released on Friday. With few internationals taking place last month, the top 10 remained the same with Olympic champions Brazil and European champions Portugal at the second and third positions. Iceland, meanwhile, jumped two places to be at the 18th position, while Russia, who will host the World Cup this year, are at the 61st place.